Located by the river in the famous Arashiyama region of Kyoto is Tempura Matsu, a beautiful, traditional building where some of the finest dishes in Japan are served. Some of the most stunning items on the menu are the noodles, and it isn't hard to see why! 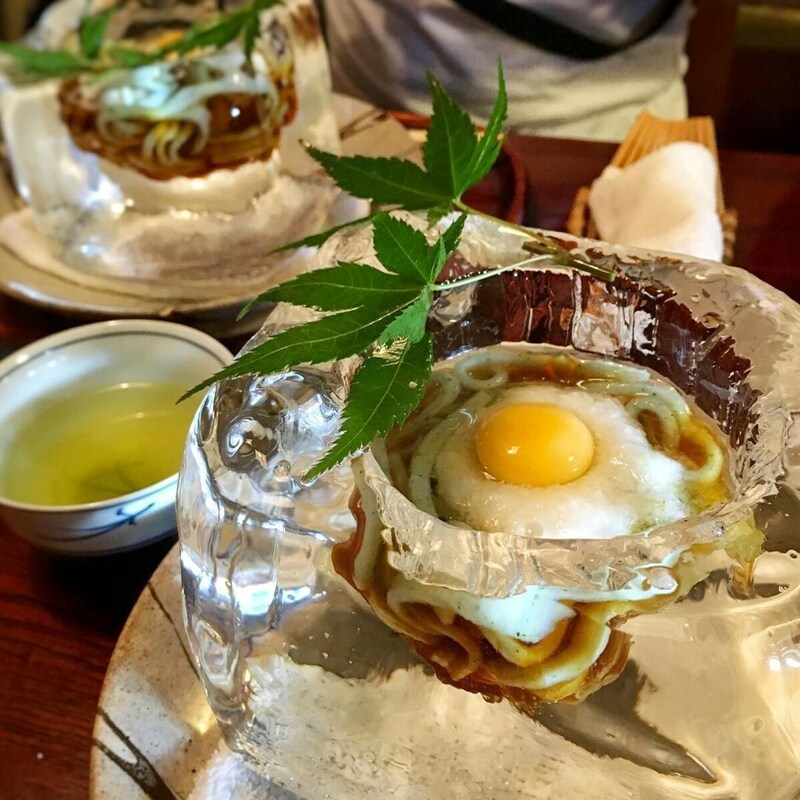 The inaniwa udon, made from mugwort and served with wasabi and a raw egg yolk, are a hit with diners, both for their delicious flavor and their visually stunning bowls. 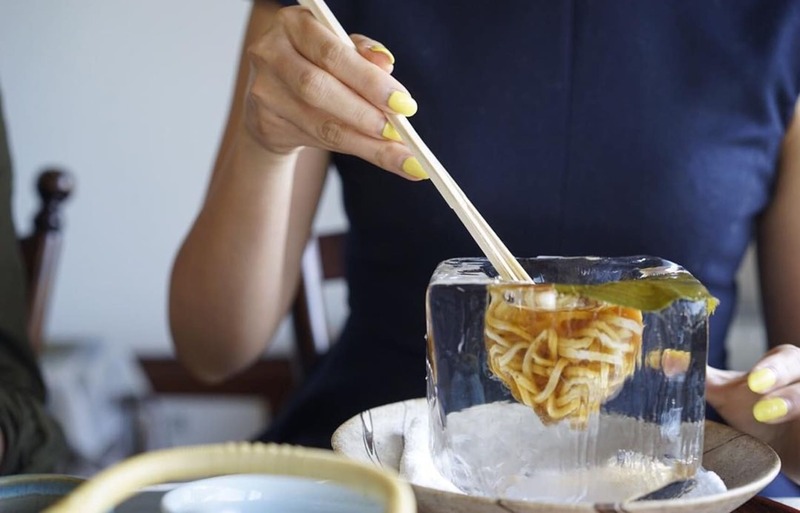 Made from a huge block of ice, the tiny scooped out bowl at the top helps to impart the noodle broth with a small amount of icy water as it slowly melts. A whole table of ice cubes makes for a cooling sight. Seasonal flavors are an important element of Japanese cooking, and Tempura Matsu doesn’t disappoint, with sakura cherry blossom noodles in spring. Thin somen noodles are perfect as an icy cold summer dish. and a delicate crab rice that takes on an incandescent beauty once cooked in front of diners in a small pot. The chef takes special care in only using the highest quality ingredients and prepares every dish with amazing attention to detail. With a stunning view of the river alongside you as you feast on the sumptuous Japanese dishes, this is one of the best places to dine out in Kyoto. To find more information including the store hours and location, be sure to click on the full story below at RocketNews24!